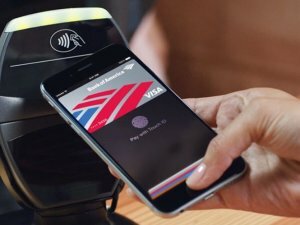 For those of you owners of the new Apple iPhone 6 and iPhone 6 Plus, starting Monday, October 20, 2014, you’ll be able to use the new Apple Pay system to pay for things at some retail stores and in-app purchases. It utilizes a hardware feature called NFC, or Near Field Communications. Some retails have the hardware that will allow you to tap your phone instead of swiping your card. 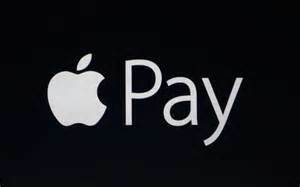 To use Apple Pay, you’ll need an iPhone 6 or iPhone 6 Plus. It will be available on the new iPad Air 2 and iPad Mini 3, but only for in-app purchases. To get started, you’ll need to update to iOS 8.1, which will be released on Monday. Then you’ll want to go into the Passbook app and walk through the steps to add your credit card information. It’ll allow you to scan the card with your camera. The next step will be finding a retailer that is setup with Apple Pay. You’ll hold down the TouchID fingerprint sensor and point it at the Apple Pay reader. That’s all there is to it. Once you do that, you’ll be able to select which card you want to use to pay and the payment will be processed.